Two people born and raised in New Orleans,have drastically different lives until a storm unites them. But can love overcome secrets, corruption and economic class? Can true love survive Katrina?Light skinned, privileged and with the right last name, Jake Broussard knows none of the hardships and prejudices Torrie has suffered, but he knows he loves her.Chocolate beauty Torrie Thibodeaux, a resident of New Orleans lower ninth ward, doesn't feel so beautiful in a place where the ideal Black woman is light, bright and damn near white. 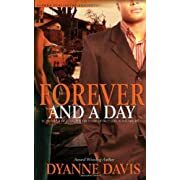 But she wants only one man, Jake to think she'd beautiful and worthy to be loved.When Hurricane Katrina strikes the Big Easy, it brings Jake and Torrie together, but then they are forced to defend their love and fight against tradition, corruption and greed. I just came upon this and wanted to thank you for posting a mention of the book. Thank you. You've got a very nice blog.